Undeterred by a foggy start, thousands of cyclists gathered in Edinburgh today from across Scotland today to take one simple message to the Scottish government: “we are everyone”. 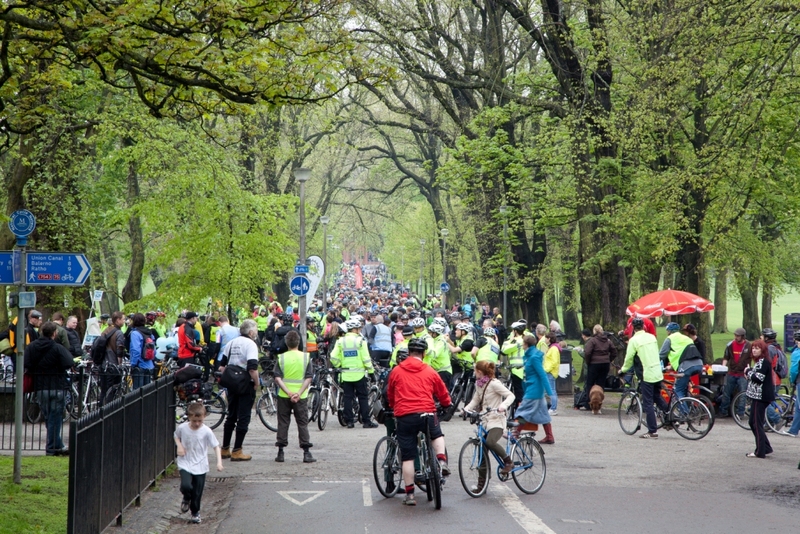 People on every sort of bike – and none – started gathering in the Meadows in Edinburgh at 2pm to call for safer cycling, with some cycling from Aberdeen and Glasgow as well as joining feeder rides from all around Edinburgh. 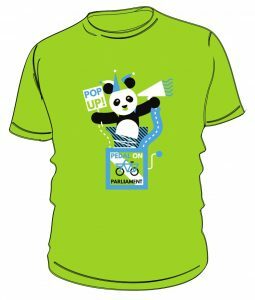 Many had dressed up for the occasion, with quite a few pandas on bikes among the colourful throng. At 3pm, after a minute’s silence – rendered additionally poignant by the death of a young man killed on his bike near Inverness on Thursday – a joyful peal of bicycle bells announced the start of the ride and the protest made its way to Holyrood through the heart of Edinburgh and down the Royal Mile. World champion cyclist Graeme Obree recorded what was probably his slowest bike ride ever as he led out the ride alongside the families of Andrew McNicoll and Audrey Fyfe, both killed on Edinburgh’s roads in recent years. 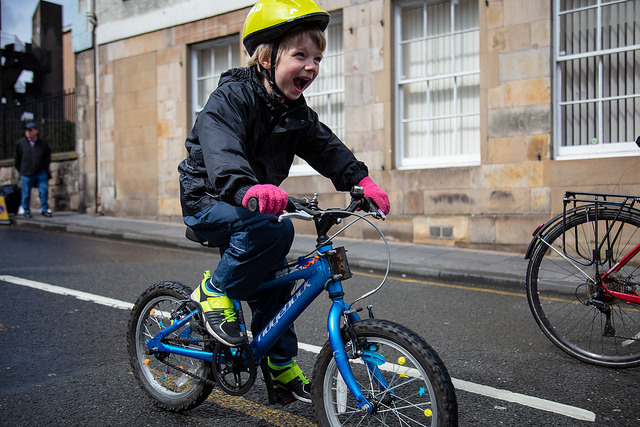 At Holyrood, Minister for Environment and Climate Change Paul Wheelhouse received the grassroots campaign’s eight-point manifesto calling for more investment in cycling, slower speeds, and better facilities for cyclists on Scotland’s roads. He reiterated the commitment of the government to see 10% of journeys by bike by 2020.